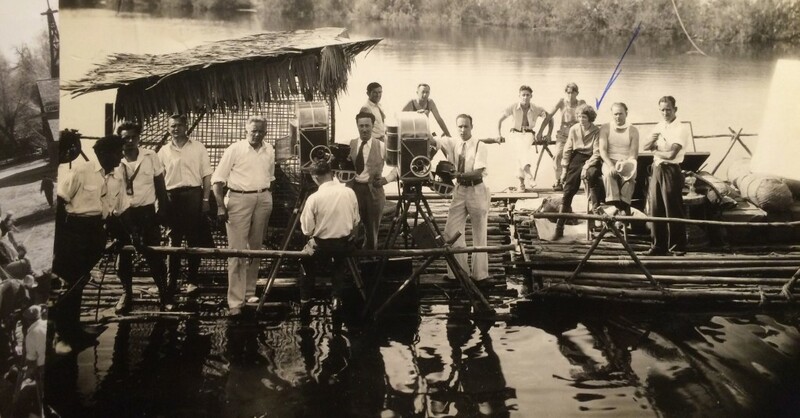 East of Java – Aileen Webster is probably the only woman on the set, background right. One of the strange things about American family culture is that most families spend almost no time talking about their relatives, even immediate family members. Everyone is so busy trying to survive, go to school, work, participate in sports, dating and social activities, that the history, disappointments, achievements, and life stories of other family members are never dealt with. When most kids are growing up, they might hear a few snippets, usually by accidental eavesdropping at the dinner table, about old grandpa Fred, who invented something or other, or old aunt Betty who was a famous high-school athlete. Rarely does a family take the time to get together every so often and give updates on what other members of the family, sometimes living in distant locations, are doing with their lives. In some other cultures the dead family members are honored, as are the memories of what they did. Most Americans have lost this. Maybe it’s the result of the dis-integration of the so-called atomic family structure. Ask a lot of young folks today, and many just don’t care about their past relatives, they are focused on themselves and immediate surroundings only. Putting the family history in the trash. Over the years I have been to thousands of estate sales and yard sales. 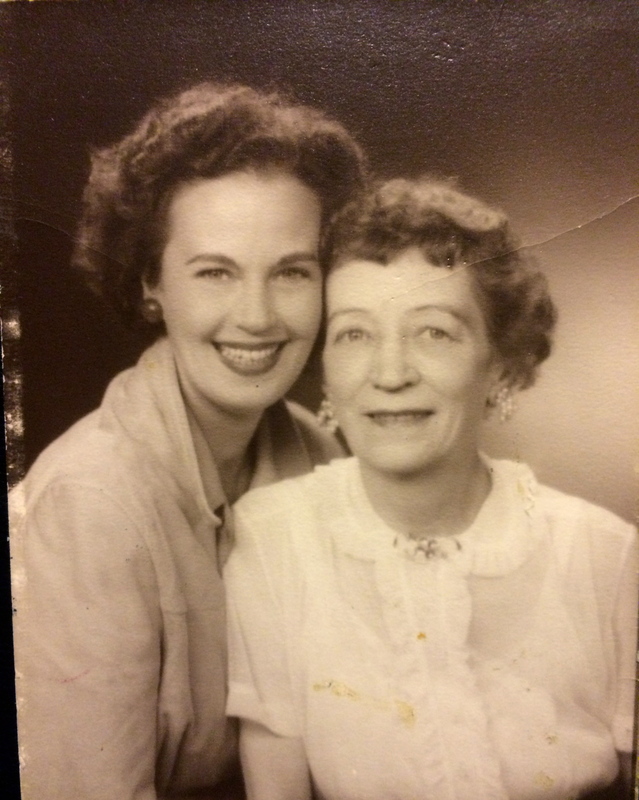 One thing that I began to notice is that family photo albums, documents, papers, history, and other memorabilia is frequently discarded- usually to be found in the trash cans. The typical scenario is that the old folks die, the “kids” zoom in from out of town and dump everything out in the trash or estate sale, sell the house and pocket the money and any other valuables like jewelry, cash, paintings, and then scoot back to where they came from. Save the family photos albums? 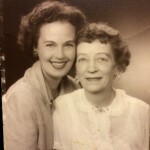 Naw, just keep one or two photos of mom or pop, that’s enough. It makes you think that our culture must be so shallow that it’s not worth even giving it a second thought. 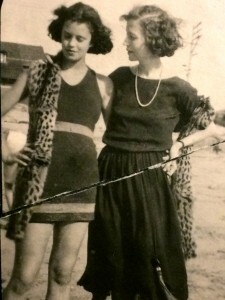 A few of us, though, as we age, realize that it sure would have been nice to be able to talk to Grandma about her life, but she lived on the other side of the country and died 20 years ago. My friend Julie has recently had that “moment” when she unearthed some old boxes of photos and letters that she had rescued from the trash from one part of her family. Julie’s family has a lot of Hollywood connections. It started with her Grandmother, Aileen Webster, whose husband died at an early age and left her with two children, Charleen and Nicholas. 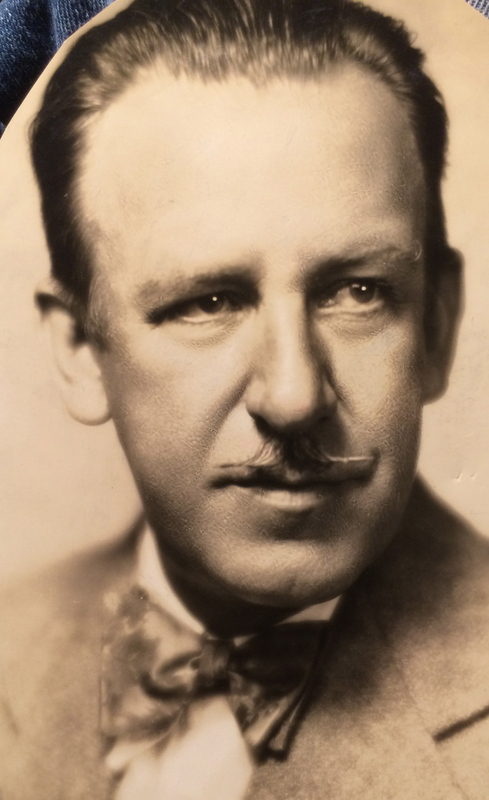 To make ends meet she somehow got a job as a script girl, and ended up working with director Tod Browning for 9 years. Her daughter Charleen also worked in Hollywood as a showgirl, and was a friend of many Hollywood folks, including William Saroyan. 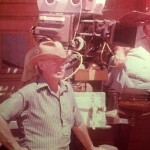 Her son, Nicholas, became a filmmaker, winning awards for documentary films. He wrote an entertaining book on his life filming documentaries called “How To Sleep on a Camel“. 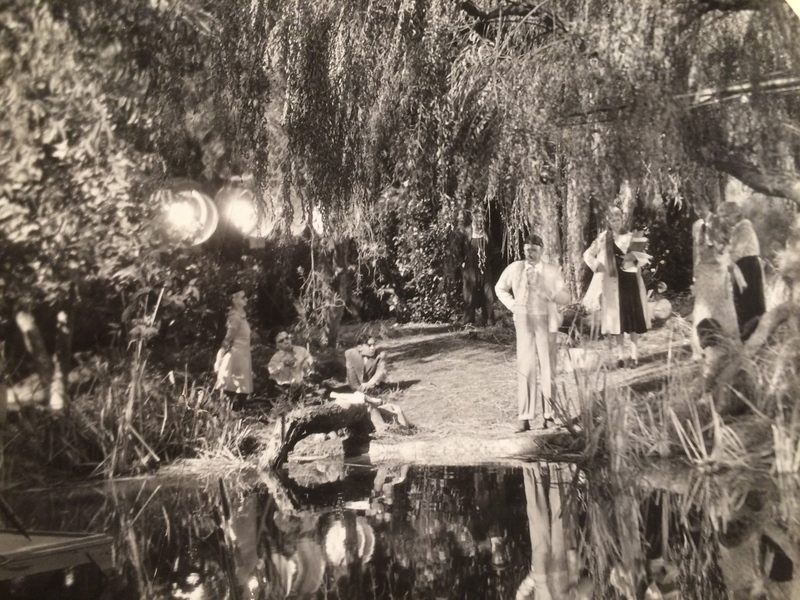 One of Nick’s daughters, Cynthia Webster, owns a movie studio in Glendale, California, covered by WhatUpHollywood in a previous article (click here). His daughter Julie, a teacher, helps out filming videos at WhatUpHollywood. Who is left to sing my song? A great photo signed to Aileen by the master of the horror movie. Imagine being on the set with him during the filming of Dracula! 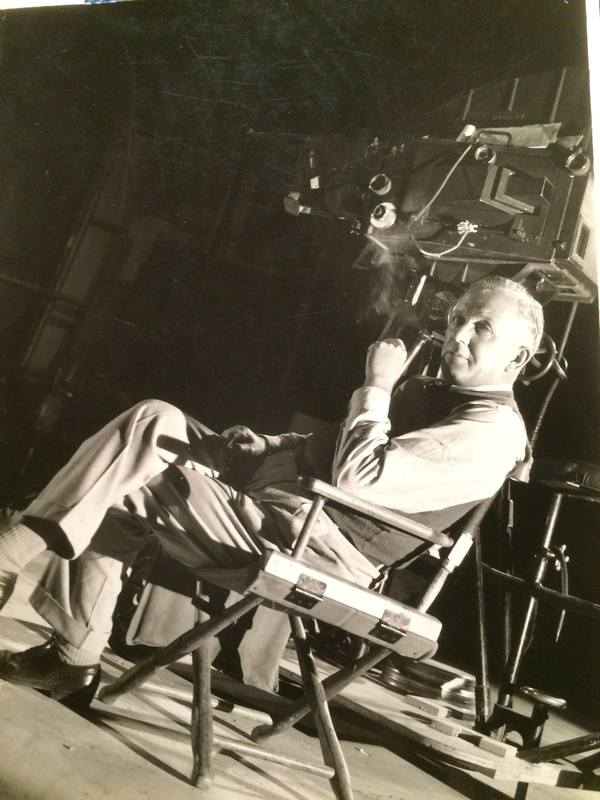 Script Supervisor Aileen Webster is in the background at right, behind Mr. Browning in this wonderful set shot. A nice signed photo to Aileen. 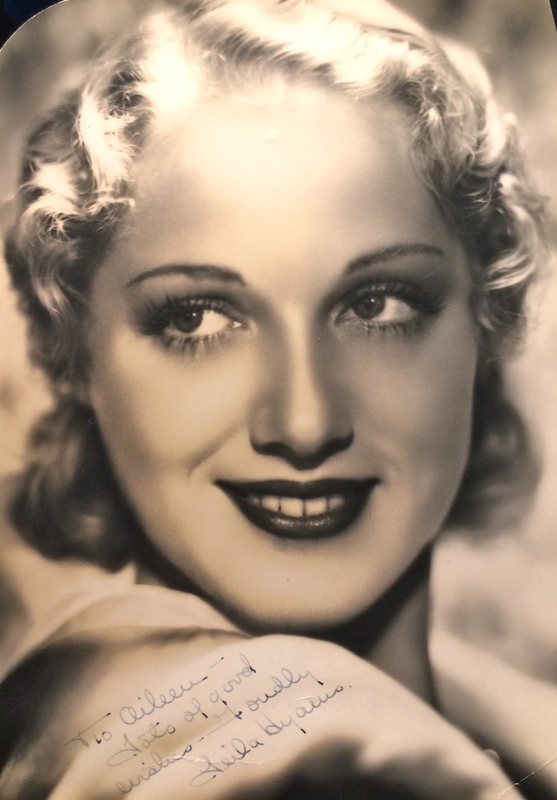 Her son Nicholas Webster worked for photographer George Hurrell probably after graduation from Hollywood High School. He learned about photography and lighting from one of the greatest Hollywood photographers of all time. 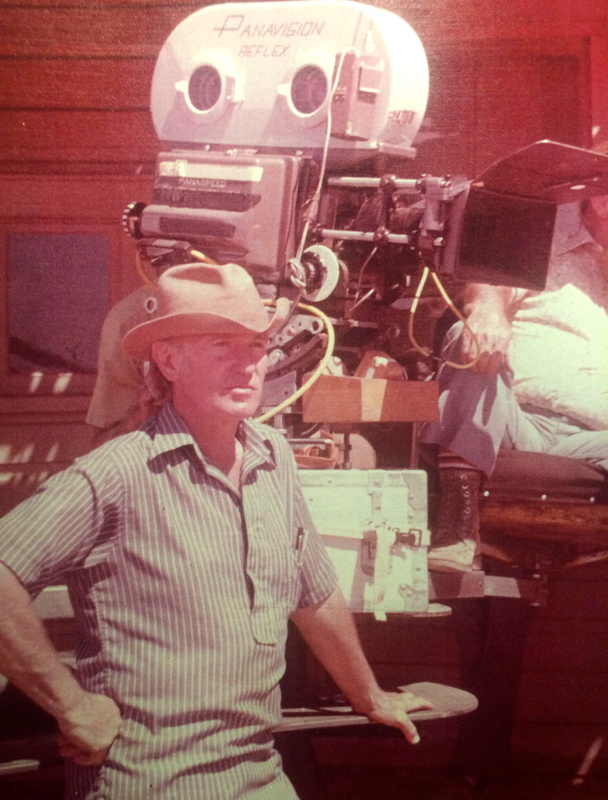 Aileen Webster was his script supervisor for 9 years. Unless a diary turns up, the stories, the secrets, the drama of this man’s life as they related to her, are lost forever. 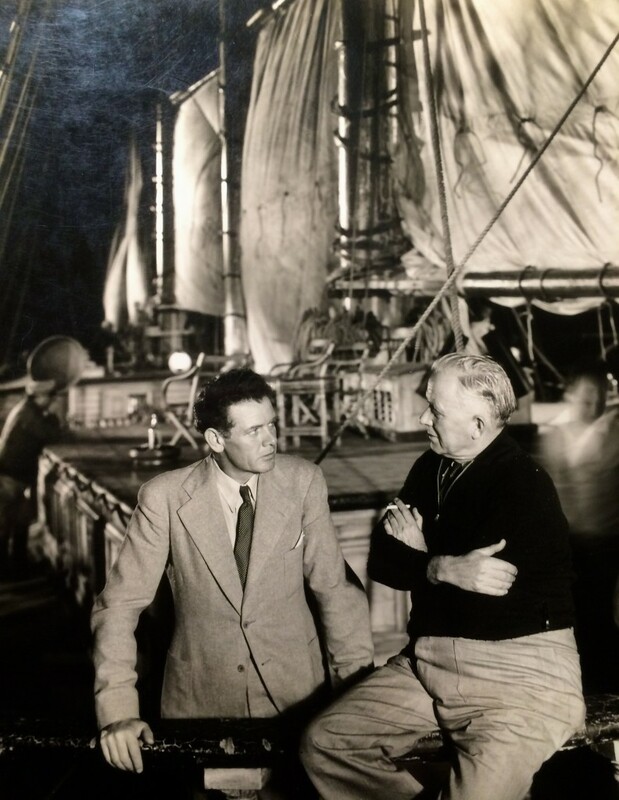 A great shot of Charles Bickford talking things over with director George Melford, East of Java. That’s all for now folks, hope you liked Julie’s family photos. We may post some more photos of the fascinating Webster family in the future. 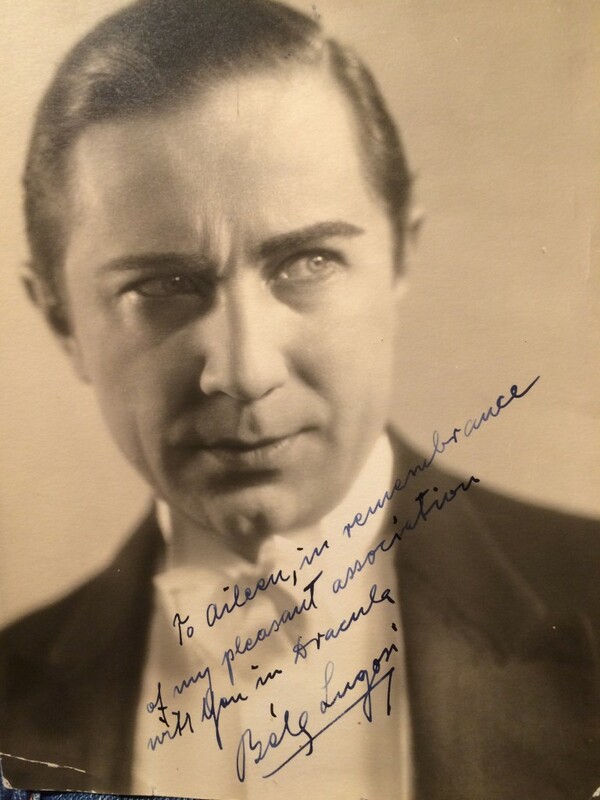 This entry was posted in Celebrities, General, Hollywood People and tagged Bela Lugosi, Charles Bickford, Dracula, East of Java, Freaks, George Melford, Hollywood History, Leila Hyams, The Sheik, Tod Browning. Bookmark the permalink. As insurance that there’s be no hanky-panky, she brought my Father Nicholas along who must have been a teenager at the time. and after knocking, Bela opened the little viewing window in the front door and was obviously quite delighted to see her, a second or two later he saw little Nicholas standing there next to her, and realized his chance for romance had been foiled. He was crestfallen! Also Dad remembered going to the Dracula set when school let out and doing his homework on the coffins while waiting for them to wrap. Dad said that often he and Charleen would pose as a couple doing extra work, this might include Little Women. Dad was quite young and would wear a fake mustache to look older. He said once that they had to do a New Year’s celebration party scene over and over for several days. I’m certain that I spotted Dad in a crowd scene from The original Hunchback of Notre Dame. Webbie (Grandma Aileen) took young Nick to someone important at MGM to see if he could get hired. So the man hired him to start in the MGM lab processing film each night, and after a catnap, he’d show up for background work as an extra each day.